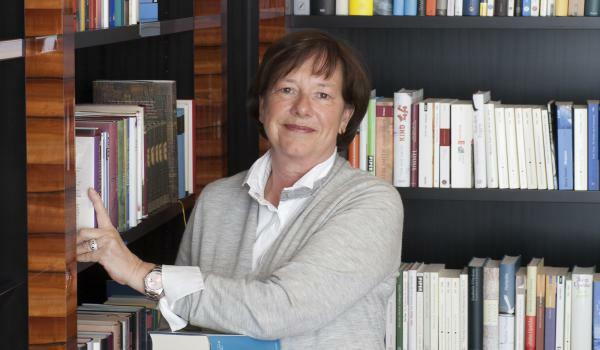 Budersand is waiting to provide you with a very special cultural experience: Elke Heidenreich, presenter, writer and Germany’s most famous literary critic, established our 1,400-volume hotel library. You can choose between novels and stories, thrillers, non-fiction, picture books, children’s books and a wide selection of works on the island of Sylt. The literary spectrum ranges from Nobel Prize winners (Gunter Grass, José Saramago, Albert Camus) to current bestsellers (Umberto Eco, Bernhard Schlink, Maarten ‘t Hart). The books also include classics from all periods and many countries (Johann Wolfgang von Goethe, Hermann Hesse, James Joyce, Jane Austen, Leo Tolstoy) to recent works of German literature (Ralf Rothmann, Walter Moers, Martin Walser) and greats from the Americas (John Updike, TC Boyle, Gabriel García Márquez). Many books in the library can be read easily in a few days. However, if you would like to continue reading a book at home, we would be happy to order the book for you and have it delivered directly to your address.